What’s that! ?” I shout excitedly at our ranger Kyle soon after we set off on our maiden game drive. I’m pointing at what I would soon learn to be a nyala antelope foraging in a nearby thicket. 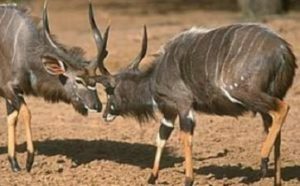 “I’ve never seen one of those before, not even in Kruger,” I explain further. “You’re right,” Kyle confirms. “But you’ll see plenty more while you’re at Phinda. 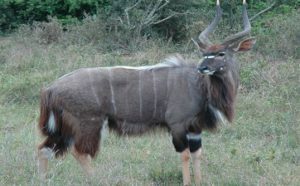 We have the largest population of privately-owned nyala in the world,” he adds proudly. 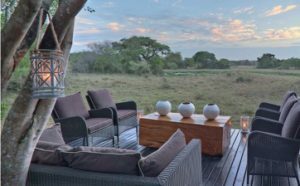 &Beyond Phinda Private Game Reserve occupies 23 000 hectares of KwaZulu-Natal’s Maputoland and neighbours the iSimangaliso Wetland Park, which was crowned South Africa’s very first UNESCO World Heritage Site. Set in a dry sand forest teeming with wildlife, Forest Lodge – one of six five-star stayovers on the Big Five reserve – comprises 16 secluded suites built on stilts above the forest floor and below giant torchwood trees which rustle with curious vervet monkeys and an astounding 415 bird species. Our twice-daily game drives always began with our ranger Kyle saying to all the guests in the 4×4 vehicle, “What animals would you guys like to see?” With our checklist in mind, we traversed the reserve in search of them. Our tracker Abel, sitting upfront with eyes fixed on the ground, used clues the animals had left behind to find whichever beast we were in pursuit of. We encountered all the big cats – lion, leopard and cheetah – and our incredible guide and tracker duo also managed to find a highly endangered black rhino. Tracking animals in the wild is an ancient skill refined only with many years of experience – and a talent I’d never seen on such brilliant display before my visit to Phinda. After an exhilarating few hours in the bush, we retired to our spacious suite boasting 360-degree views of the surrounding forest. Light streamed in through the glass floor-to-ceiling walls which made it feel as if we were outside. The open-plan design featured bleached wooden floors, lightly coloured furnishings, and a comfy couch inside its grand entrance. In the bathroom there was a door-less eco-shower, his-and-her basins and a private toilet. Our elegantly furnished balcony was a sanctuary for relaxation and a romantic enclave where we chatted late into the night after dinner. Adding further to its unique charm, the reserve is completely unfenced giving you the feeling of being completely immersed in your magnificent natural surroundings. 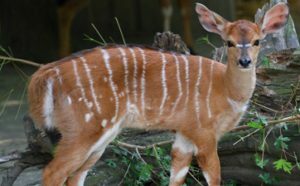 We walked freely around the lodge and never came across anything scarier than a skittish red duiker (antelope) or a bush baby. But safety always comes first, so we were escorted between our suite and common areas by a ranger on all occasions. 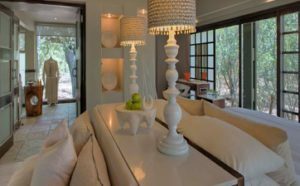 &Beyond Phinda Forest Lodge is a haven of natural splendour, relaxation and discovery. 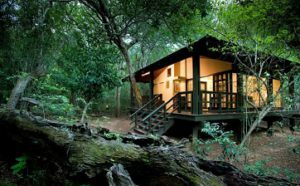 Its sparkling reputation is owed equally to its wonderful staff as the wildlife and the luxurious lodge itself. 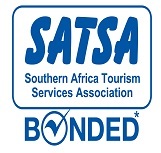 Visitors to Phinda take home an unforgettable experience of untamed Africa and leave a piece of their heart behind.